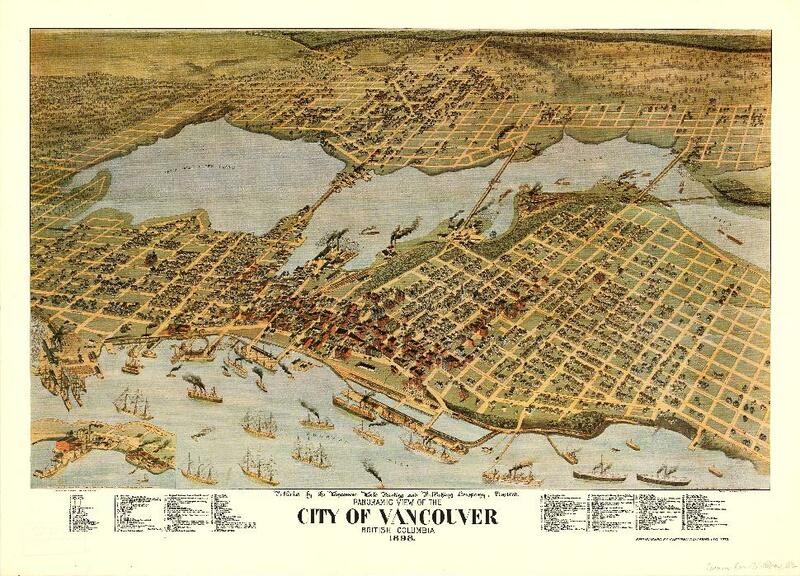 With its official 1886 incorporation, Vancouver is a young city. In a playpen of world capitals it’s practically a newborn. That being said, in its existence to this point, development has rapidly sculpted Vancouver’s look and feel. Just take a look at the map below, dated 1898. 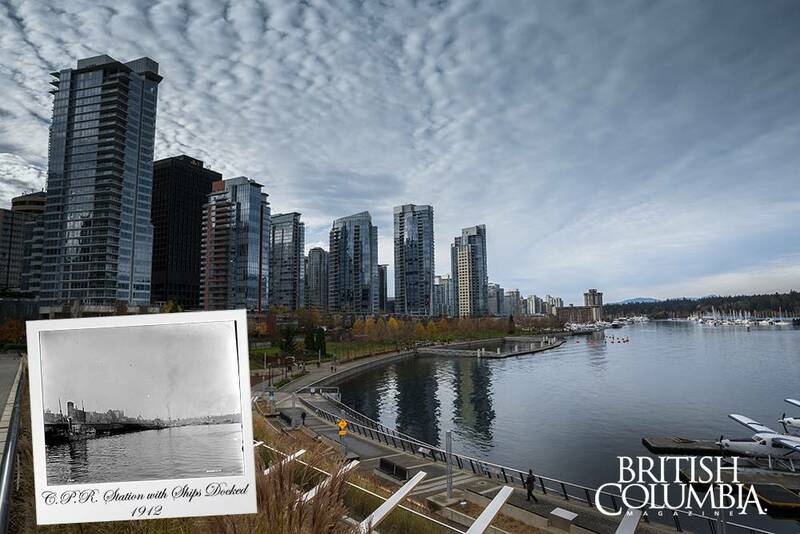 Can you fill in the bodies of water to recreate the False Creek we know today? 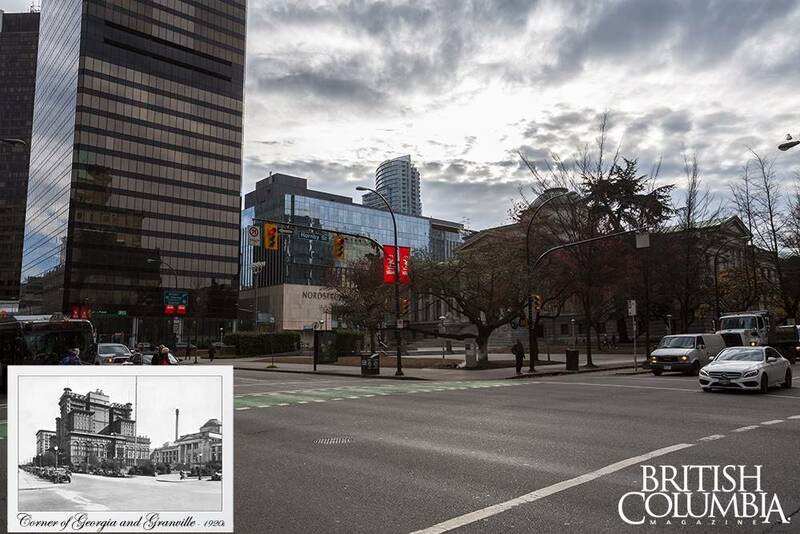 As modern condos and glassy towers creep skyward like shards of glass, take a moment to admire these recreated shots of Vancouver, now-and-then. Where architecture is a great measure of the city’s dynamic change, there is also comfort in the landmarks that haven’t changed a bit. Then Photographer: Dominion Photo Co. Location: The east end of Stanley Park along the Seawall. 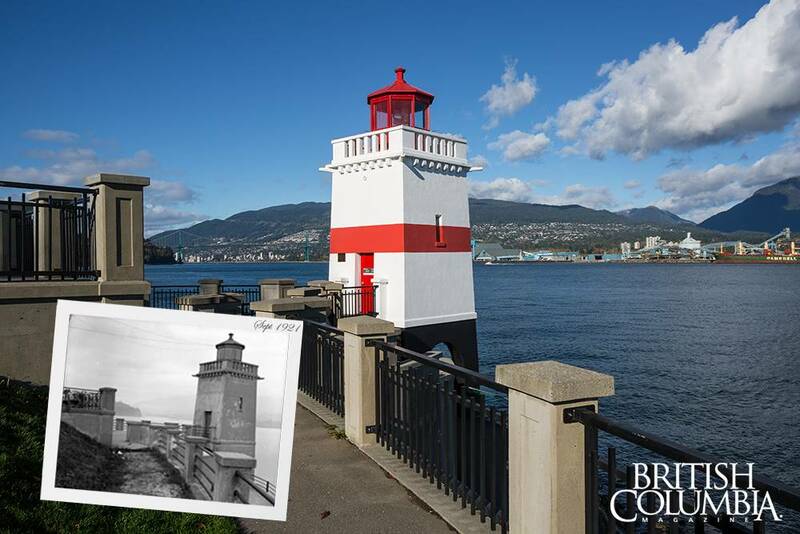 Description: This 100-year-old lighthouse can be found on the small peninsula on the east side of Stanley Park. The current lighthouse was built in 1914, replacing the 1855 original, and has safely guided ships through Coal Harbour ever since. How to get there: Stanley Park Drive loops through the park and will bring visitors directly to the point. Alternatively, a stroll along the Seawall travel right past the lighthouse as well. Location: View looking West on Georgia Street from Seymour Street – Strand Theatre – Birks Building – Hotel Georgia – Hudson’s Bay Company. 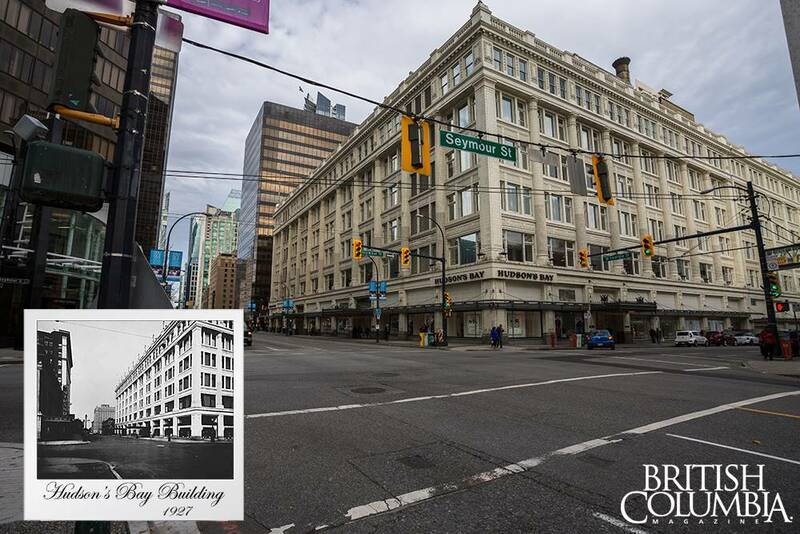 Description: The Hudson Bay Building has been on the corner and Seymour and West Georgia since 1927. The building’s last addition was completed in 1949, but its timeless design has kept it in style even as the city has built up around it. How to get there: West Georgia Street provides the most direct driving route while the Granville and Vancouver City Centre Skytrain stations are within easy walking distance. Description: Queen Elizabeth Park provides an unobstructed vantage point for sweeping views of Vancouver and its amazing backdrop. 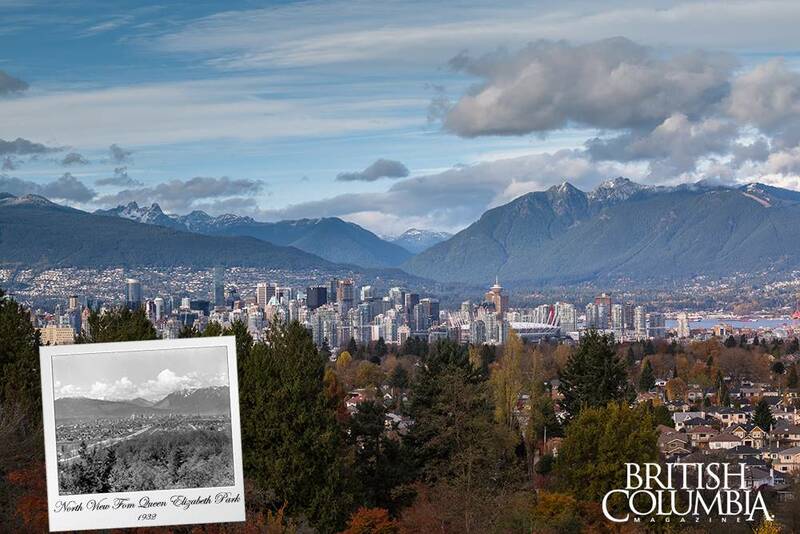 The park was originally a quarry and was invaluable during the construction of Vancouver’s first railroad. 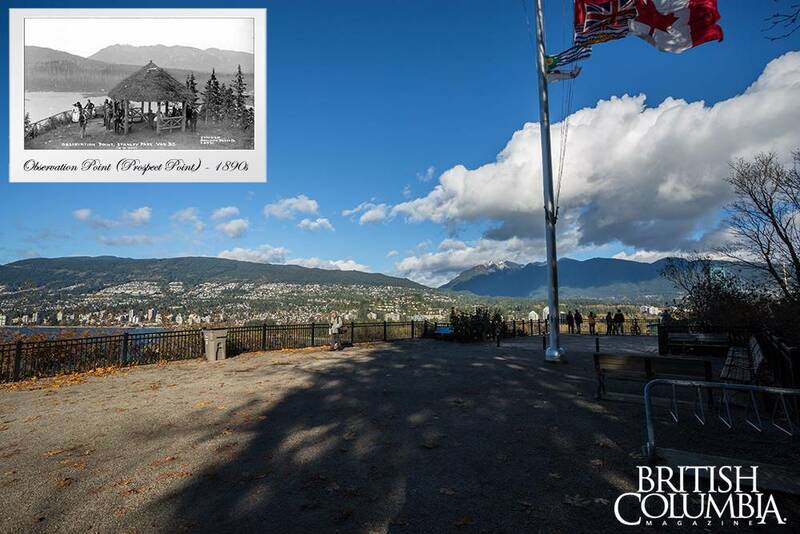 The Vancouver Park Board took it over in the 1930’s and transformed it into the beautiful garden it is today. How to get there: East 33rd Avenue provides a straight drive into the park while King Edward is the closest Skytrain station. Location: View showcasing Downtown Vancouver’s Skyline. In the original photo, the Royal Bank Building under construction – Marine Building under construction. Description: There are many different angles to photograph the Vancouver skyline. The city’s proximity to the ocean and unique coastline offer many wide and unobstructed shots. The city is constantly growing and the skyline changes from year to year, providing renewed inspiration for photographers. How to get there: The Vancouver seawall provides the best spots to take skyline photos. Stanley Park in particular offers the best angle. 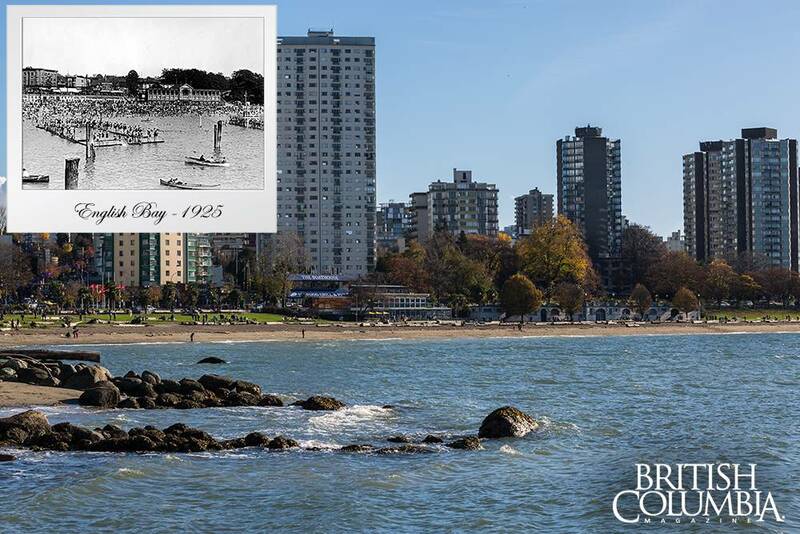 Location: View of English Bay – swimmers – bathhouse. Description: Stretching between Point Grey and Point Atkinson, English Bay is the most popular site in Vancouver for swimmers and sunbathers alike. Vancouverites flock to the bay for popular events such as the Celebration of Light, Polar Bear Swim, and Vancouver Pride Parade in greater numbers ever year. How to get there: Follow Pacific Boulevard to Beach Avenue for a direct route. Stanley Park Drive also turns into Beach Avenue and is an easy drive for visitors coming from the park or North Vancouver. Location: View of Spanish Banks Beach – swimmers. 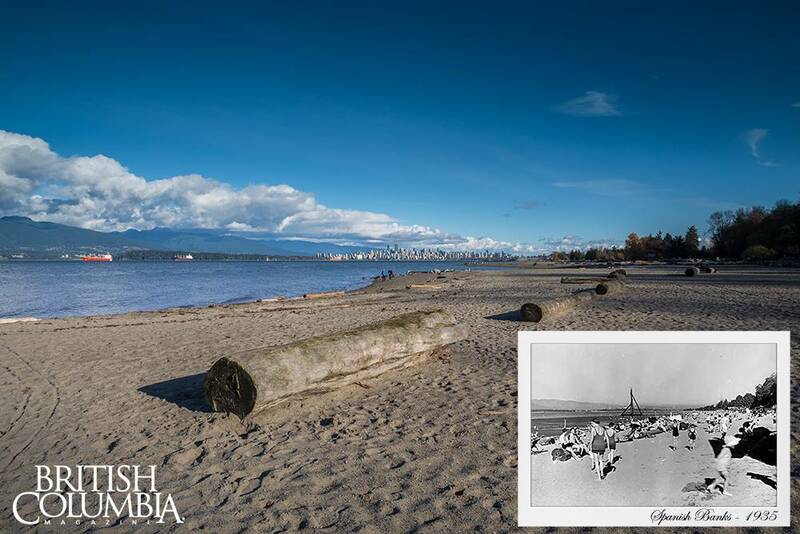 Description: Spanish Banks is one of the most popular beach areas in English Bay. The bank got its name from the famous meeting of George Vancouver and Spanish explorers Dionisio Galiano and Cayetano Valdés. During the summer the Spanish East bank is popular with swimmers while skimboarders and kitesurfers prefer the west bank. How to get there: Travel down West 4th Avenue and turn onto North West Marine Drive. Description: The Orpheum Theatre opened in 1927 while the Commodore Ballroom beside it in 1929. Both venues have become staples of Vancouver culture, hosting a wide variety of music and entertainment acts. Both buildings, especially the Orpheum, have also been popular sites for filming in the city. How to get there: Parking on Seymour or Howe Street allows for easier parking and a short walk to Granville Street while the closest Skytrain Stations are Vancouver City Centre and Granville. Location: Looking south east. Hotel Vancouver at corner of Georgia and Hornby. Birks Building in background. Description: In the heart of Vancouver the corner of Georgia and Hornby has built up significantly over time. While modern buildings have moved in there has been a concerted effort to preserve iconic older architecture, creating a blend of old and new. The Vancouver Art Museum is a short walk away and Pacific Centre offers many high-end shops. 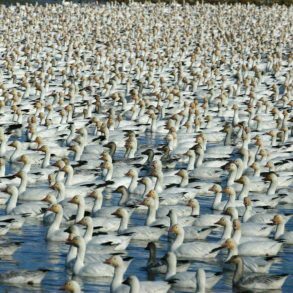 This corner is always bustling. How to get there: West Georgia Street provides an easy drive through the city while Vancouver City Centre and Granville are nearby Skytrain stations. Location: View from the water looking S.W. from near the foot of Seymour – C.P.R. Station – ships docked. 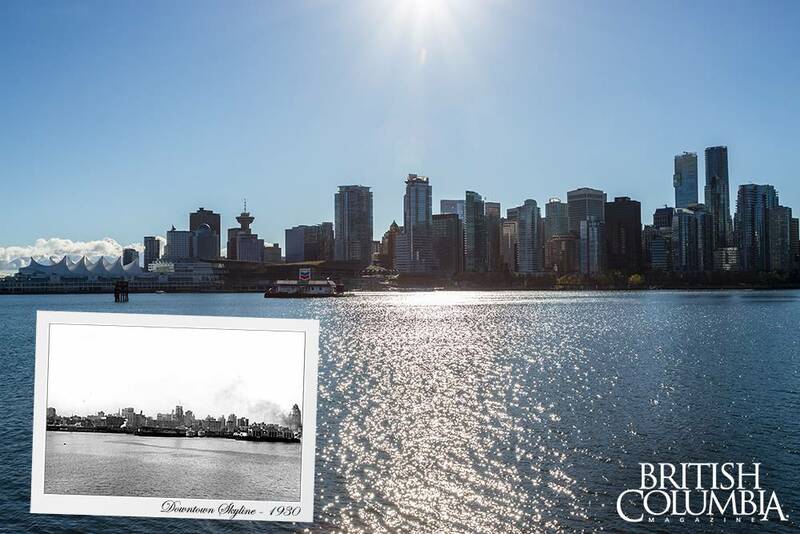 Description: This stretch of the Vancouver Harbour was once a busy dockyard of the Canadian Pacific Railway. Now the shoreline has been transformed into a beautifully paved section of the Seawall. 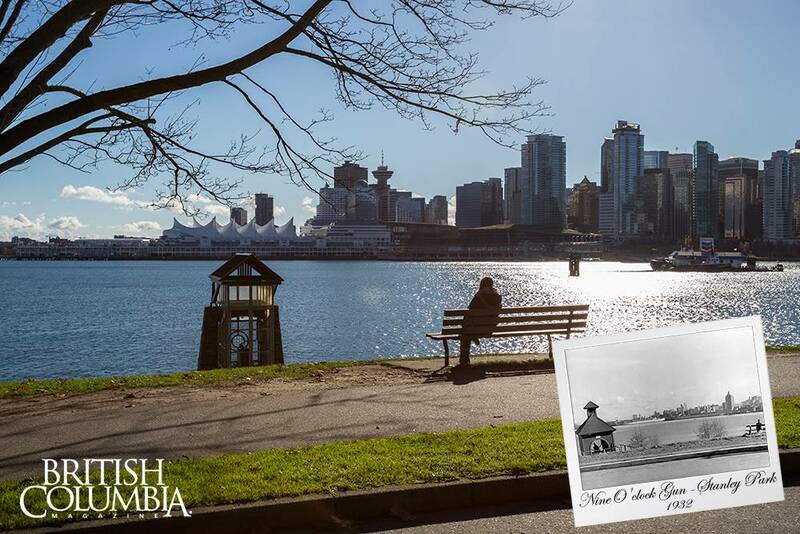 Instead of busy industrial docks this is now the home of the Royal Vancouver Yacht Club. How to get there: A drive down Powell Street to Water Street puts visitors at a great point to start a walk along the Seawall. Waterfront station puts Skytrain riders in a good position as well. How to get there: The Stanley Park Drive loop takes visitors right past the point. Location: Cordova Street and Water Street. Looking east from Richards Street. Street lamp. Wooden sidewalk and road. 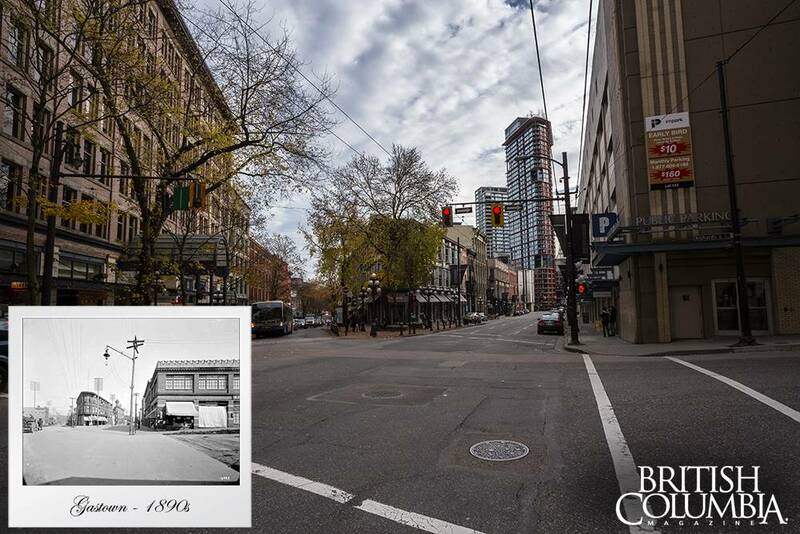 Description: Named after steamboat captain and barman “Gassy” Jack Deighton, Gastown was Vancouver’s first downtown core. Stretching down Water Street Gastown has become popular with tourists and locals alike thanks to its excellent restaurant and bar scene. How to get there: A drive down Abbott or Powell Street will put visitors on Water Street in the heart of Gastown. Waterfront Skytrain station is also only a short walk away. 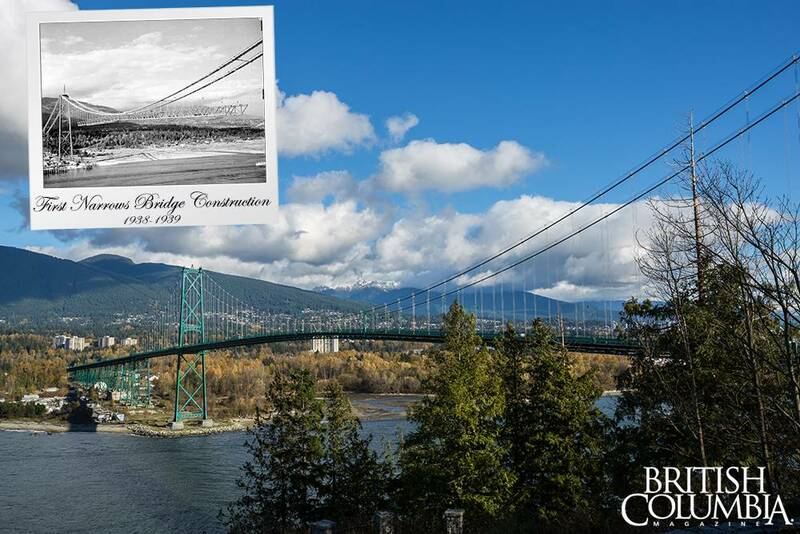 Description: The Lions Gate Bridge is a suspension bridge that opened in 1937. It spans the Burrard inlet, connecting North Vancouver to Stanley Park. The bridge is often used as a symbol of Vancouver in television broadcasts and has been featured in a number of Hollywood films. How to get there: Stanley Park Drive and the Seawall offer great views of the bridge while the Stanley Park Causeway connects with Lions Gate Bridge Road, carrying drivers across the bridge. Location: View from north end of new Granville street bridge looking south. Description: Granville Street has become an entertainment centre for Vancouver. 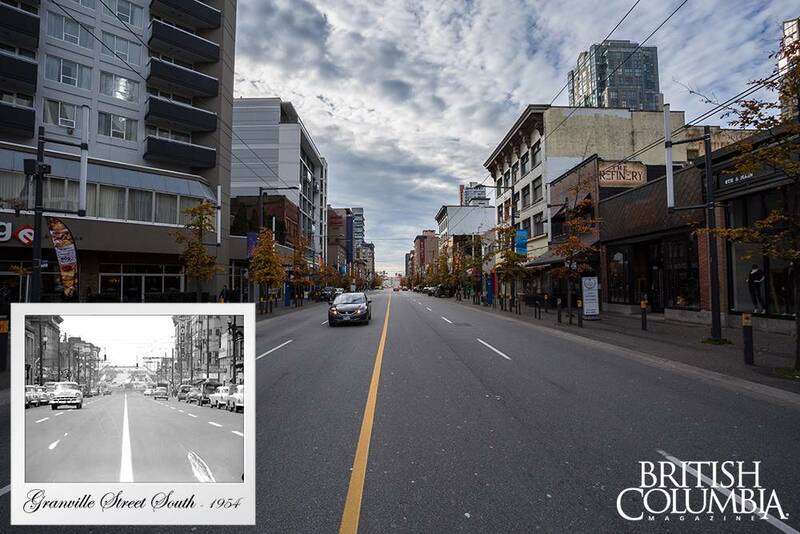 Famous venues such as the Orpheum and Commodore Ballroom call this street home. 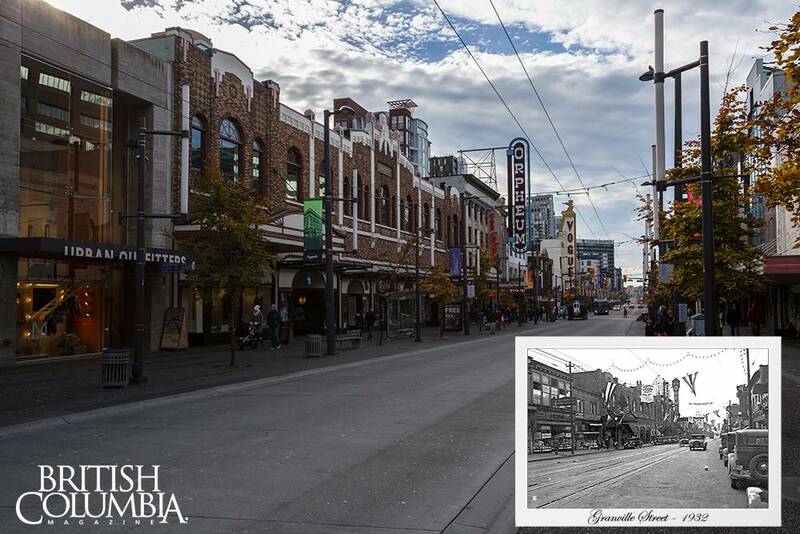 Granville Street experienced some deterioration after theatres like The Plaza shut down the area was revitalized by a booming bar scene during the Vancouver Olympics. How to get there: King Edward Avenue cuts across Vancouver and connects easily with Granville. Skytrain riders will want to exit at Granville Street station. 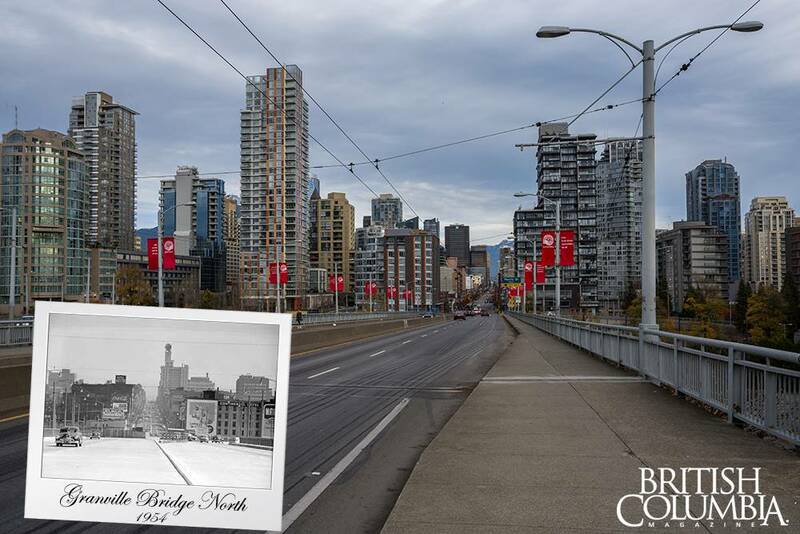 Description: Granville Street Bridge opened in 1954 and spans False Creek. Under the bridge is the popular tourist attraction Granville Island. Granville Island was once an industrial area but is now a famous hub for arts and entertainment. How to get there: Granville Island can be tricky to drive to. The easiest way is to turn off of West 4th Avenue onto Anderson Street. A simple drive along Granville Street will get visitors to the bridge. Description: The Nine O’Clock Gun can be found in Stanley Park near Brockton Point. It was made in 1816 but was not brought to the park until 1894, 78 years later. It was originally used by the Department of Marine and Fisheries to signal fishermen to come back to shore. Later it was used as a time signal for the general population, firing a shot at 9 pm every night. It still preforms this duty today. How to get there: Stanley Park Drive passes right by the gun, as does the Seawall. Have you seen your Vancouver neighbourhood change dramatically? Tweet us a now & then picture!